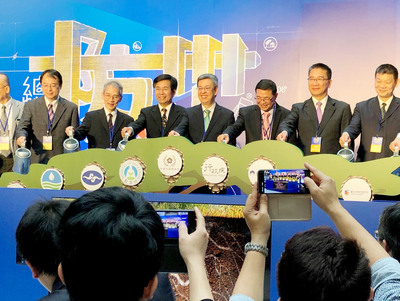 Taipei, June 14 (CNA) Taiwan's top China-policy agency said Friday that no matter how cross-Taiwan Strait relations are described, the government's stance is clear -- the "one China" is the Republic of China. The Mainland Affairs Council (MAC) was responding to criticism of ruling Kuomintang Honorary Chairman Wu Poh-hsiung's description of Taiwan-China ties during a meeting with China's top leader Xi Jinping in Beijing on Thursday. The two sides do not have "state-to-state relations," Wu said. Instead, they both advocate a "one-China principle" based on their respective laws and systems and both use a "one-China framework" to define cross-strait ties, he said. In a statement released Friday, the MAC said the ROC, as a sovereign and independent country, has defined cross-strait relations as "one Republic of China and two areas" under the Constitution and the Act Governing Relations between the Peoples of the Taiwan Area and the Mainland Area of 1992. "The government's stance on cross-strait ties has never changed," the MAC said, asserting that "'one China' is the Republic of China." The ROC Constitution dates back to 1947, two years before the KMT government retreated to Taiwan after losing a civil war in China. Though it has been amended several times since, it still implies that the ROC includes mainland China, though it currently controls only Taiwan proper and its outlying islands. MAC chief Wang Yu-chi reiterated Friday that the government's stance on cross-strait ties is based on a 1992 consensus. He was referring to the tacit agreement between the two sides of the Taiwan Strait in 1992 that there is only one China but with each side free to interpret what that means. For the government, the "one-China" refers to the Republic of China, Wang said. "This is unequivocal and has never changed," he said at a meeting in Kaohsiung with Taiwanese businessmen operating in China.